Hello, it’s Jen & Jodie back to share a super fun idea with you. 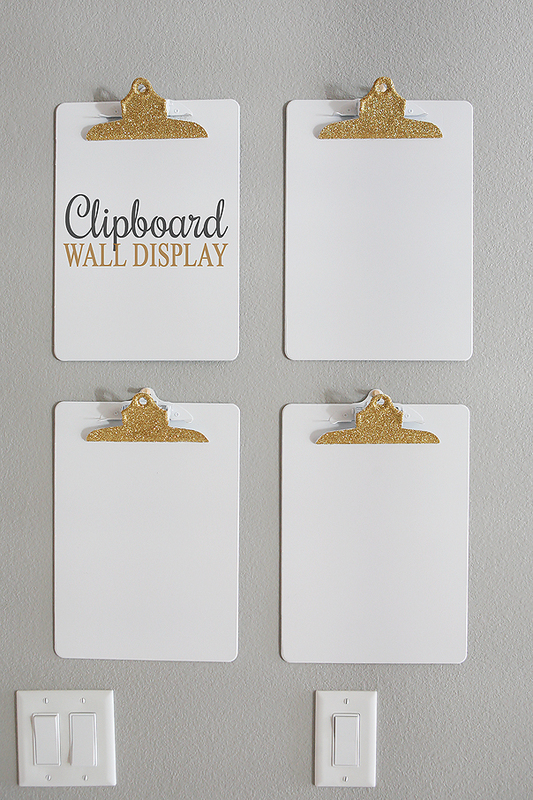 It’s our Clipboard Wall Display and we are so happy with the way it turned out. We decided to spruce up four old boring clipboards. 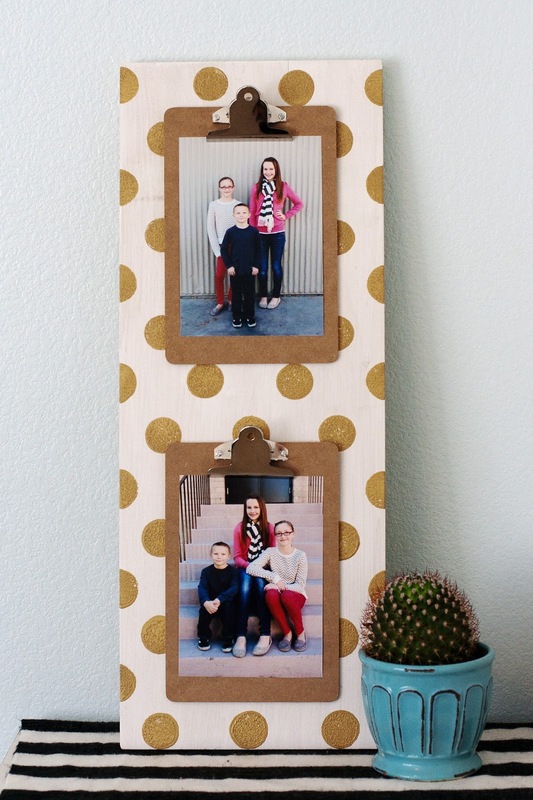 It’s so easy and inexpensive you could do a larger display than we did… or even add in a few mini ones. 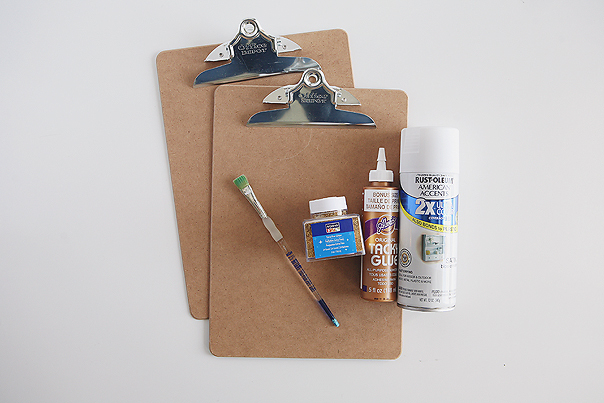 First thing you’ll want to do is give your clipboards 4-5 light coats of spray paint. Remember to let each coat completely dry before doing another one. We spray painted the entire front side of the clipboards, metal parts and all. 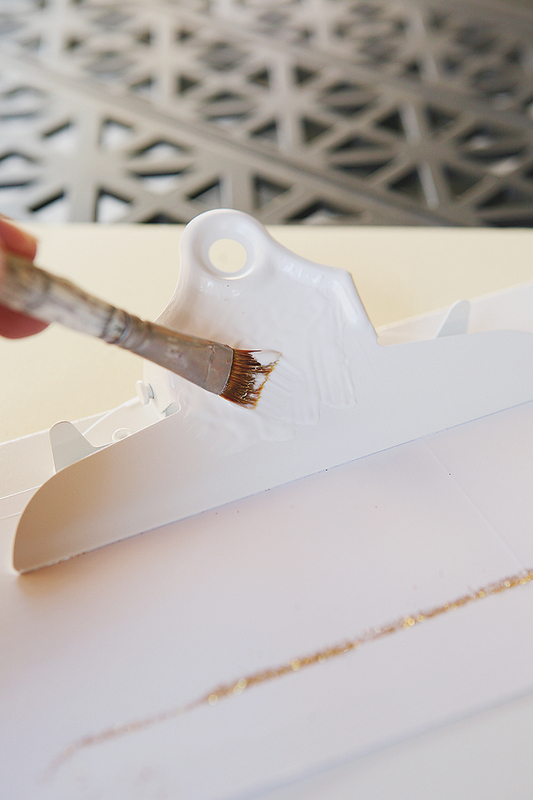 Once the paint has a nice even coverage, set the clipboards aside and let them dry overnight. Then it’s time to make them sparkle! Slip a piece of paper under the clip to protect the board from getting glue on it. Using a paint brush, apply a good coat of tacky glue to the front side of the metal clip. 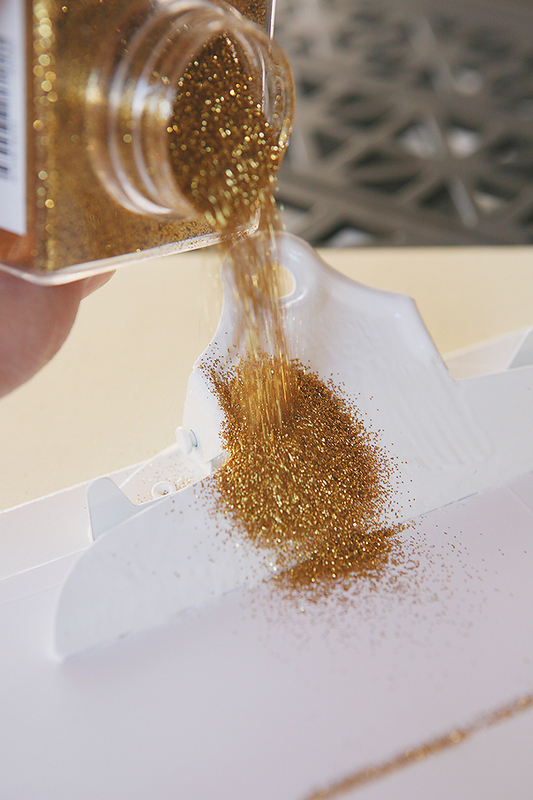 Then just sprinkle with glitter. We always glitter over a paper plate or piece of cardstock. Then we just dump the excess back into the bottle when we are done. 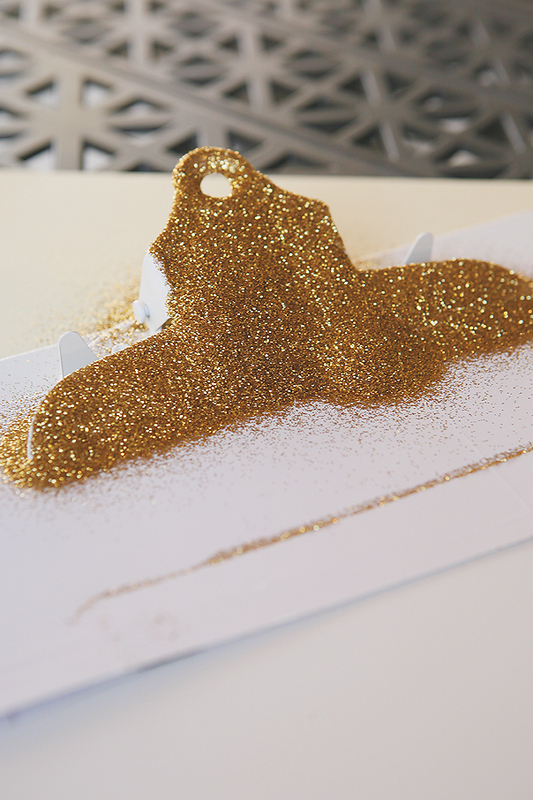 Let it sit for a few minutes and then tap off the excess glitter. Then just let it dry overnight again. We actually propped up the bottom of the board a little. Otherwise gravity makes the glue and glitter slide down on the clip just a bit. All that’s left to do is to hang them up and decide what you want to display on your fun clipboards. 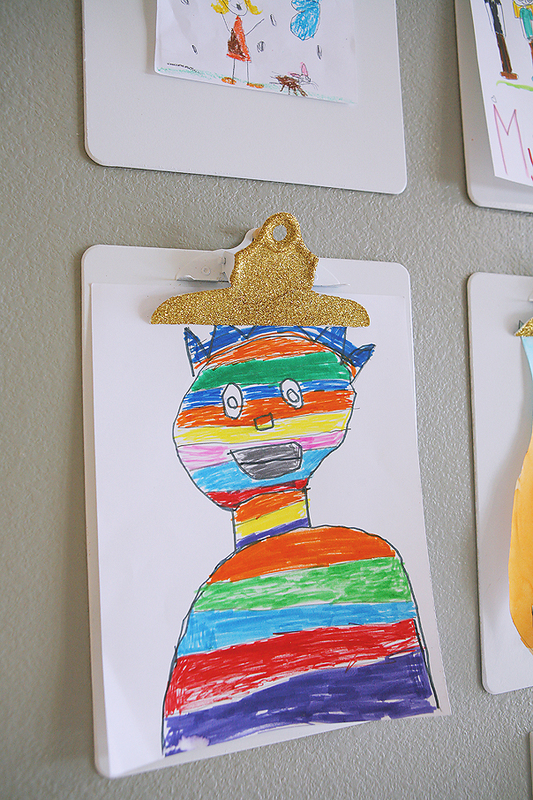 Your kids artwork, grocery lists, fun free printables, photographs or whatever you’d like. You obviously can switch up the colors of your clipboards if you want too. There are so many fun colors of spray paint these days, it might be hard to choose. 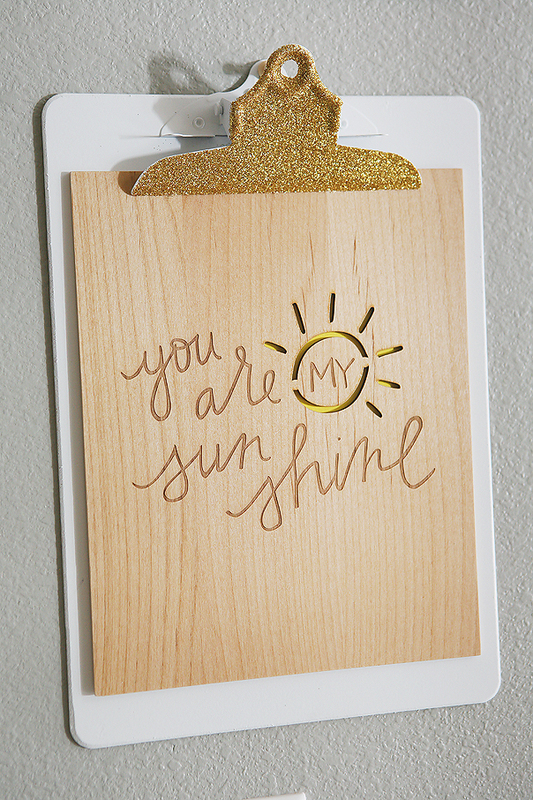 We have a few other clipboard projects on our blog. I think it’s because they are so inexpensive so they are fun to decorate with. You can check out our Polkadot Clipboard Sign HERE over on Eighteen25!